Re-posted from State of the Nation, with thanks, in interests of informing Americans, and not with any partisan views in mind–stepping beyond partisan sports seems to be the only way we can keep uncovering truth and unveiling and challenging the organized mayhem beneath, as we pull together to restore and retrieve the USA from the corporate corruption it has fallen into. Please visit there for more news-related articles on this subject as well as others, including an interesting note about the reaction of the Sicilian Mafia to Justice Scalia’s sudden death. The death of Supreme Court Justice Antonin Scalia has shaken the country to its core. Many are still waking up to the grim realities which surround both the circumstances and scene of his death. The immediate reaction by many Americans across the entire political spectrum is that something is very wrong with this whole situation. Regardless of political sensibilities, Justice Scalia was recognized by most as a veritable bulwark who protected the U.S. Constitution like no other. He was both a stalwart sentinel and stentorian who defended the spirit and the letter of the Founding Documents of these United States of America. In fact, he was the only sitting SCOTUS jurist who always sided with the Constitution. That’s not to say he did not make some judicial errors from time to time. However, SCOTUS insiders knew full well that those calculated errors were deliberately made to protect the nation and American society. You see, Justice Scalia was extremely aware of the threats that President Obama and his Administration posed to the country. He witnessed, like all of us, the irreparable tearing of the social fabric which has occurred on Obama’s watch. As a staunch conservative and traditional man of Italian-American ancestry, he profoundly understood the necessity of the rule of law. There is no question that the Obama Administration represents the most lawless presidency in U.S. history. On every front, it has sown seeds of social chaos and political pandemonium. Justice Scalia saw this clearly. And he used the high bench to militate against the destruction of the American Republic. He was not shy about expressing his misgivings with Obama et al. and the way the Administration flouted federal law and trampled on state statutes. He was deeply pained by the encroaching anarchy caused by so many unlawful Executive Orders. He knew that the very existence of the United States was in great jeopardy. And he felt compelled to prevent the nation’s imminent destruction. Clearly, Justice Antonin Scalia was the single biggest threat to Obama and his legacy. He was the very quintessence of opposition to everything Obama championed. He was also well known to be public enemy #1 the more he took his SCOTUS platform to the people, as he often did. He knew deep down inside that the American people must be educated … must be enlightened … about the ongoing devastation of their country which was once defined by a rule of laws, not of tyrants. Herein lies the crux of this humble plea from We the People. Justice Scalia’s untimely and mysterious death MUST be investigated by a completely independent, apolitical organization that is trusted by the American people. Members of Congress, this humble plea WILL be honored to the fullest extent possible. Should this request be ignored or mishandled, it will quickly morph into a movement. This movement is already growing by the day, mind you. Let us be clear from the outset regarding the absolute necessity of determining the true cause of the death of Justice Scalia. If he was in fact murdered, as many Americans now suspect, this situation will not be allowed to go the way of JFK. Not only that, but if the Congress fails to fully investigate this exceedingly suspicious death and official response from the U.S. Federal Government, then there will be HELL to pay. No, we’re not gonna take anymore. In the words of Howard Beale of NETWORK fame: We’re mad as hell and we’re not going to take this anymore. Hopefully you just got the message, because if you didn’t the following may just happen. 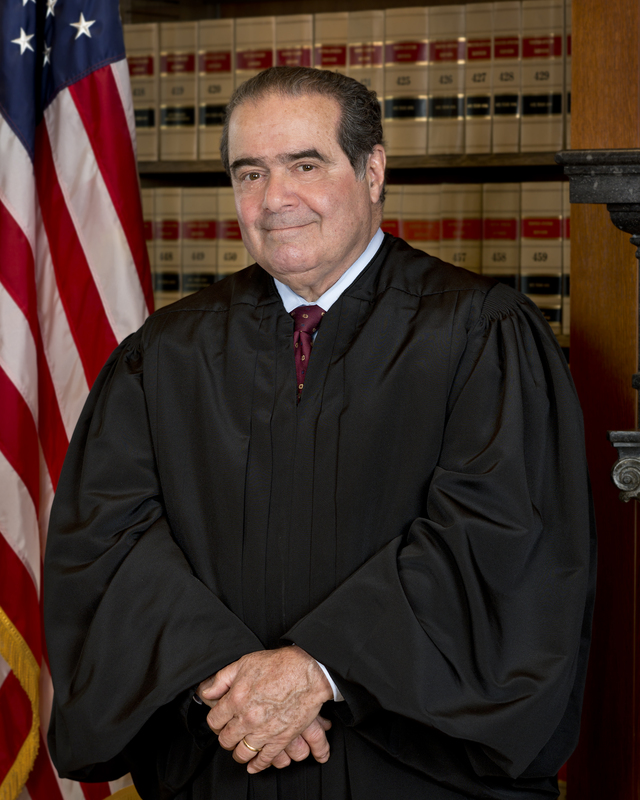 Lastly, may we say that Antonin Scalia was an eminently noble human being. He was a kind soul who lived his life with great passion and joie de vivre. He was deeply loved by his family and many friends. He was also a true friend of the American people. Therefore, if he was killed, whoever was responsible will be found and prosecuted to the fullest extent of the law. That’s both a promise and a threat. As Justice Scalia would say: Capiche?! P.S. There is a plethora of articles and commentary on the Internet which have expressed shock at the manner in which the suspicious death of a Supreme Court Justice was handled by EVERYONE concerned. For your edification, please find below just a few of those posts which capture the profound irresponsibility and stunning neglect of the various government’s actions and inactions thus far. 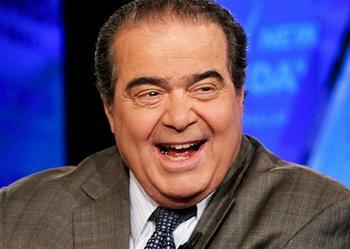 Justice Scalia’s ‘Natural Death’—Cui Bono? And Why They Did It? Who Murdered The Most Famous Italian-American Since Frank Sinatra? This entry was posted in America, Waking Up and tagged Antonin Scalia, Justice Scalia, State of the Nation, Supreme Court Justice. Bookmark the permalink.